Which Old RWD Celica Would You Buy? 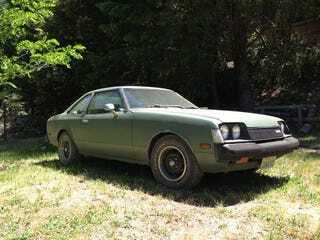 This '79 is military green, $2000, 5spd, 75,430mi (on engine), and written by a frustrated seller. This '83 coupe is brown, $1500, 212000 miles, brown, and brown with brown tape stripes. It is also brown.